When it comes to a single brand which has multiple locations, hiring can be a daunting task. Finding an effective way to manage job openings and applications across multiple locations can be overwhelming, which led us to create the Harri Single Brand Solution. Setting up a Single-Brand Multi-Location account with Harri will allow you to effectively streamline your hiring experience by granting specific permissions, such as posting a job and/or screening applicants, to location managers or team members involved in the hiring process. Do you hire centrally? No problem, you can manage the entire hiring process from one dashboard. You can customize settings for each location under your group, add existing or new users to specific locations, and grant permissions to an individual manager's account. You'll receive messages notifying you when managers accept your invitation, post jobs, and screen applications ensuring that you are aware of all hiring activities. Harri is here to improve your hiring experience, whether at one location or multiple. 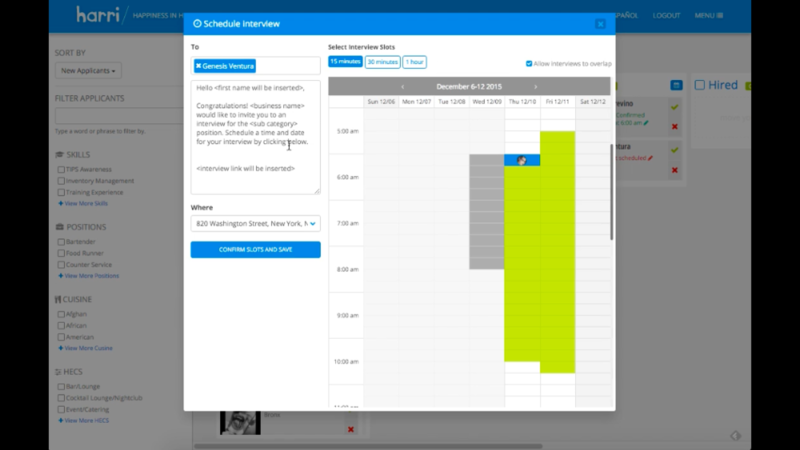 With the Single-Brand Multi-Location dashboard, managing applicants over multiple locations just got a lot easier.